We recognize biodiversity as a vital factor in human well-being and understand its importance for maintaining ecosystem health. With an increasing number of species considered to be at-risk or threatened, and an increasing number of protected areas established to conserve habitats, evaluation and mitigation of our potential impact on biodiversity is one of our priorities. 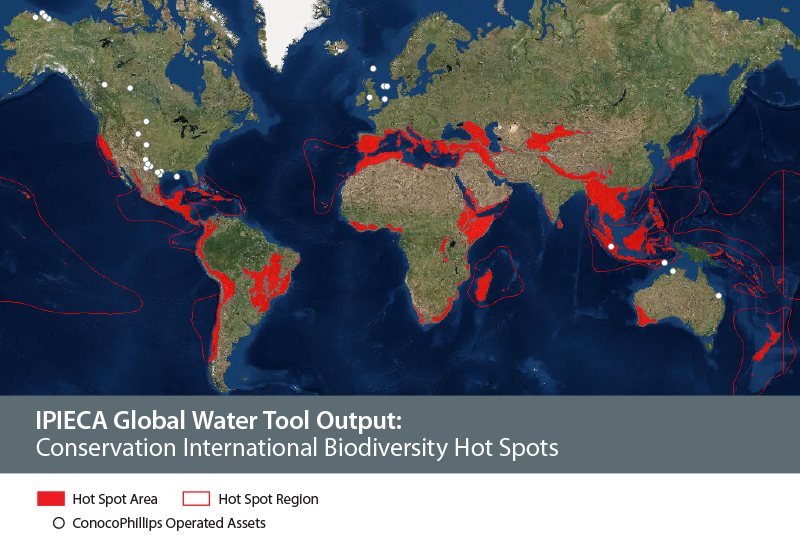 When evaluating potential impacts to biodiversity from onshore and offshore operations, we start with an enterprise-wide review of the the Conservation International Biodiversity Hot Spot mapping layer using the IPIECA Global Water Tool for Oil & Gas. Biodiversity “hot spot” refers to 25 biologically rich areas around the world that have lost at least 70 percent of their original habitat. We explore opportunities to reduce our land footprint, especially in regions with sensitive environments, and implement protective measures in support of habitat conservation and ecosystems sustainability. Our Biodiversity Action Plan spans from 2014 to 2018, following successful results from our first company-wide action plan between 2009 and 2013. 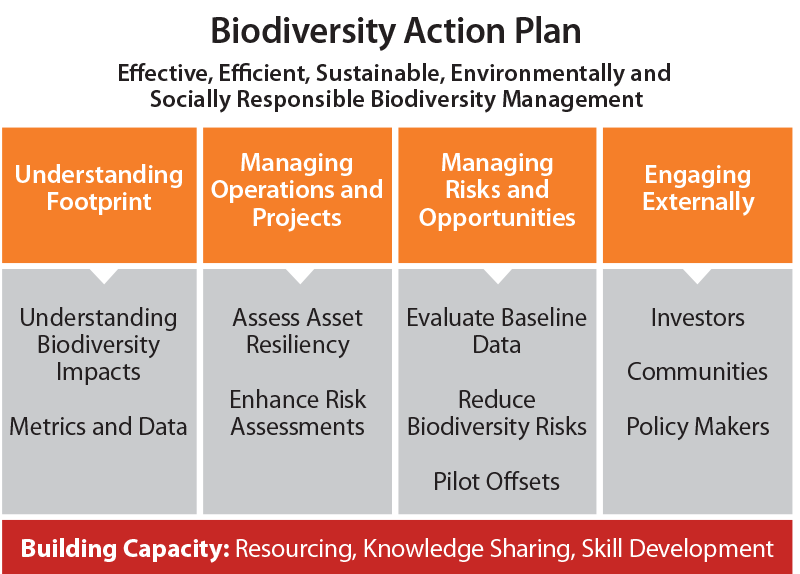 The Biodiversity Action Plan, which is updated annually, includes goals and commitments, identifies who is accountable, and lists milestones and progress. Our businesses and corporate functions have committed to 75 biodiversity-related actions or projects. Information about our annual performance may be found in our Sustainability Report. The action plan projects and progress are managed through an integrated governance process. 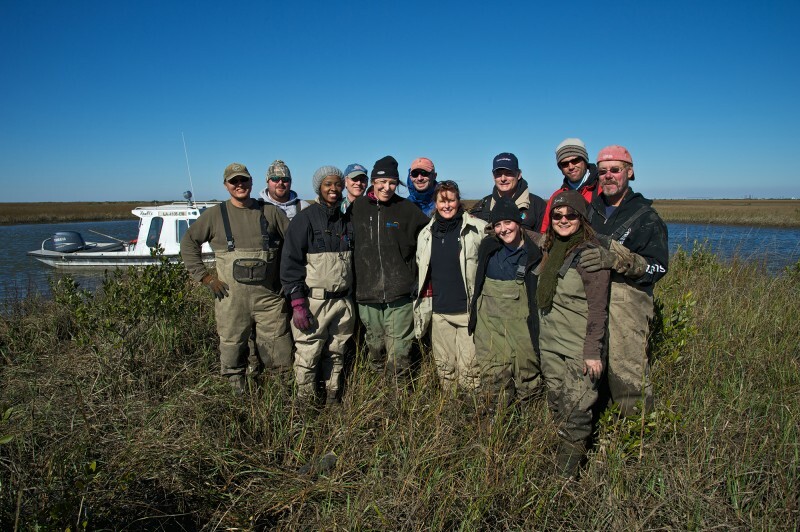 Our Biodiversity Issues Working Group, led by a member of the Sustainable Development Team, is responsible for managing the action plan. 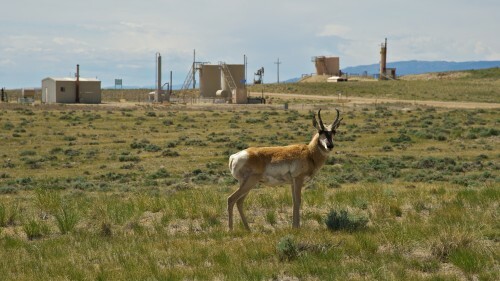 The group’s members are onshore and offshore biodiversity subject matter experts, advisers, team leads and managers representative of our global exploration and production portfolio. Our internal Biodiversity Network of Excellence is the primary collaboration tool for Issues Working Group members to share knowledge, innovation and best practices.